Housing prices are going up, and so are the number of evictions in the Twin Cities. Evictions are specially affecting some of the most disadvantaged populations. 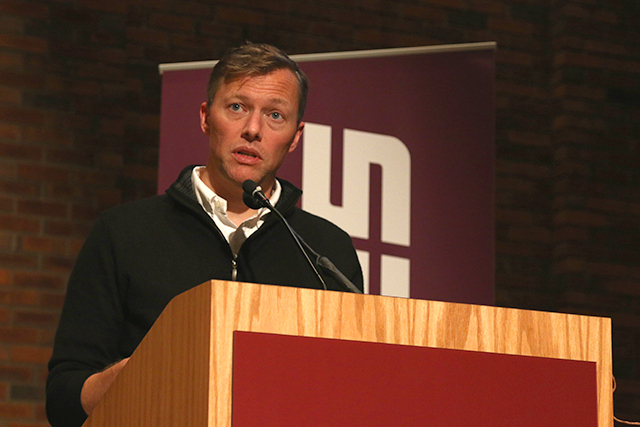 Matthew Demond, professor at Princeton University, spoke at Augsburg University about his Pulitzer prize-winning book, “Evicted: Poverty and Profit in the American City”. In this book, he follows eight families in Milwaukee and documents their struggle to keep a roof over their heads. “Oftentimes evictions aren’t a condition of poverty, they’re a cause of it. In the Midwest, with cold winters, evictions spike in the summer because many people who struggle to pay for housing expenses pay their landlords in the winter, when utilities companies are banned from shutting off the gas, and switch to paying the utility company in the summer”, Desmond explained to a packed house at Augsburg University. Read full story at the MinnPost site.